SWORDFISH, under CDR K. E. Montross, left Pearl Harbor on 22 December 1944, to carry on her thirteenth patrol in the vicinity of Nansei Shoto. She topped off with fuel at Midway on 26 December and left that day for her area. In addition to her regular patrol, SWORDFISH was to conduct photographic reconnaissance of Okinawa, for preparation of the Okinawa Campaign. On 2 January, SWORDFISH was ordered to delay carrying out her assigned tasks in order to keep her clear of the Nansei Shoto area until completion of carrier based air strikes which were scheduled. She was directed to patrol the general vicinity of 30° 00'N, 132° 00'E until further orders were received. In the last communication received from SWORDFISH, she acknowledged receipt of these orders on 3 January. However, it is now known that there were many mines planted around Okinawa, since the Japanese were expecting an Allied invasion of that island. The majority of the mines were planted close in. 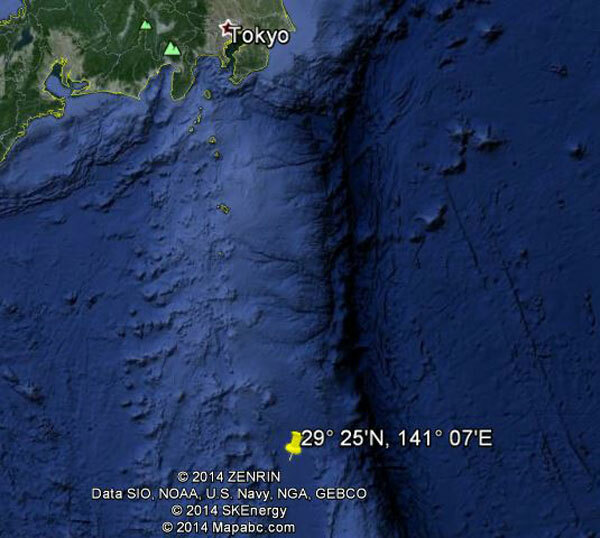 It is considered about equally likely that SWORDFISH was sunk by depth charge attack before she reached Okinawa for her special mission or that she was lost to a mine at that place. SWORDFISH, in the twelve patrols before her fatal thirteenth, sank twenty-one ships, amounting to 113,100 tons, and damaged an additional eight, totaling 45,800 tons. Her first patrol began the day after the attack on Pearl Harbor, and was conducted west of the Philippines. SWORDFISH sank four freighters, varying from 3,900 tons to 9,400 tons, and damaged a fifth. At the time, this was the most successful patrol in the war. She conducted her second patrol in the lesser Philippine group and among the small Islands between Celebes and New Guinea. Here she sank three medium freighters and a tanker. She also evacuated President Quezon, his family, Vice President Osmena, Chief Justice Santos, and three officers in the Philippine Army from Corregidor and took them to Panay, where they boarded a motor tender. SWORDFISH returned to Manila Bay and evacuated eleven more Philippine officials. SWORDFISH's primary mission on her third patrol was to deliver 40 tons of supplies to the beleaguered Corregidor. However, on 10 April 1942 ComSubsAF told SWORDFISH to neglect her special mission and patrol offensively. SWORDFISH made no attacks on this patrol, but did perform reconnaissance of several islands. The South China Sea area was the scene of this ship's fourth patrol, and she sank a freighter and a tanker, while she damaged two freighters. She returned to the South China Sea for her fifth patrol, but did no damage to the enemy. SWORDFISH went to the area west of Bougainville for her sixth patrol, and sank a medium freighter and damaged a second freighter. 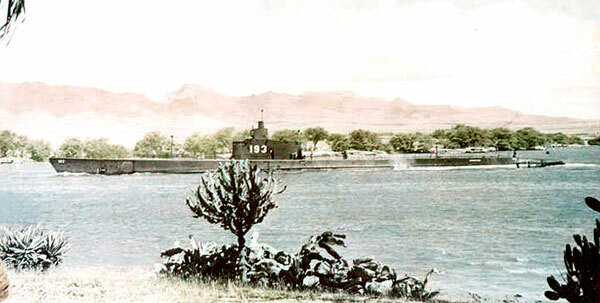 She went again to the Solomons for her seventh patrol and sank a freighter. On her eighth patrol, SWORDFISH covered the Palau-Truk-Rabaul areas during August and September 1943. Here she sank a freighter and a transport, while damaging a freighter-transport. Her ninth patrol was made south of Japan, but she made no attacks, and the patrol was cut short by material defects in SWORDFISH. On her tenth patrol, in the same area as her ninth, SWORDFISH sank a freighter-transport, and two medium freighters. This ship covered the Marianas on her eleventh patrol; she damaged two freighters. On her twelfth patrol, conducted in the Bonins, SWORDFISH sank a freighter and two small trawlers, while she damaged a third trawler. In addition, during this patrol, on 9 June 1944, SWORDFISH sank the Japanese destroyer MATSUKAZE in a night submerged attack as the enemy ship was hearing down for an attack. SWORDFISH was awarded the Navy Unit Commendation for the period of her first, second and fourth patrols. 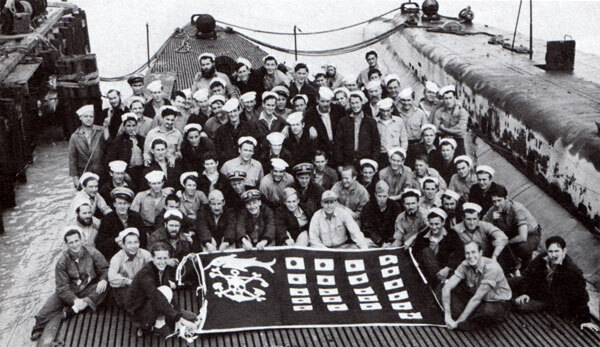 See also Ed Howard's Final Patrol page on USS Swordfish (external link).